Prime Minister Narendra Modi lead a procession of Indian leaders to visit Atal Bihari Vajpayee at his bedside Thursday after the three-time premier was put on life support. The 93-year-old has battled poor health for years but his condition has deteriorated sharply in recent days, doctors said, sparking a flurry of visits from top dignitaries. "He is critical and is on life support systems," All India Institute of Medical Sciences (AIIMS) hospital in Delhi said in a statement Thursday. He was hospitalised more than two months ago with a kidney infection and chest ailment but illness has kept him out of the public eye for years. Vajpayee, a former journalist and poet turned politician, is credited with helping lay the foundations for the meteoric rise of the Bharatiya Janata Party (BJP), the political powerhouse that rules India today. Modi, party chief Amit Shah and BJP ministers Sushma Swaraj and Rajnath Singh were among the top figures to visit the stricken Vajpayee on Thursday. 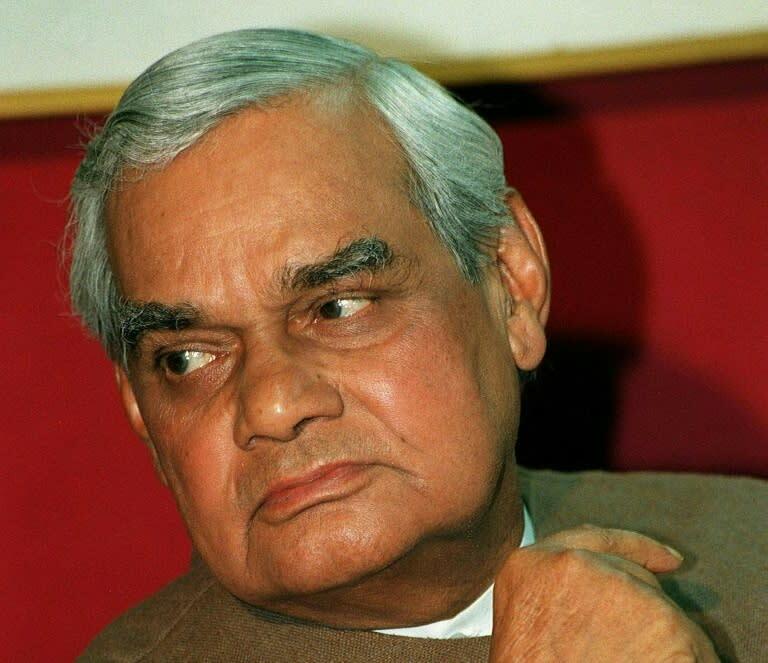 None have spoken publicly about his condition, but the surge in visits has stoked speculation that Vajpayee could be fast fading. Vajpayee was one of the few opposition lawmakers inside parliament when India's first prime minister, Jawaharlal Nehru, still held office. His more than five-decade long career peaked in the 1990s, when his masterful oratory attracted tens of thousands of people to his rallies across the country. Many top ministers in cabinet today -- including Modi -- were protégées to Vajpayee and his deputy Lal Krishna Advani in past administrations. He embarked on a historic bus ride to arch-rival Pakistan in 1999 and held talks with then-premier Nawaz Sharif in the city of Lahore. But his peacemaker image was shattered when Pakistan-backed forces pressed over the disputed Kashmir border and he later helped ramp up tensions in South Asia by testing nuclear weapons in 1998. Vajpayee withdrew from the public eye after a BJP-led alliance suffered a shock defeat in 2004. He has since rarely been seen or heard in public. It is widely reported that he suffered a stroke in 2009 which largely confined him to his New Delhi residence. He continues to enjoy devotion in many parts of the country, especially in key bellwether Hindi-heartland states in north and central India. Vajpayee's often conciliatory tone, and poetic jibes directed at opponents, attracted popularity on both sides of the political divide.